With a stay at Elegant Hotel Apartments in Jeddah, you'll be within a 10-minute drive of Heraa International Mall and Thalia Street. 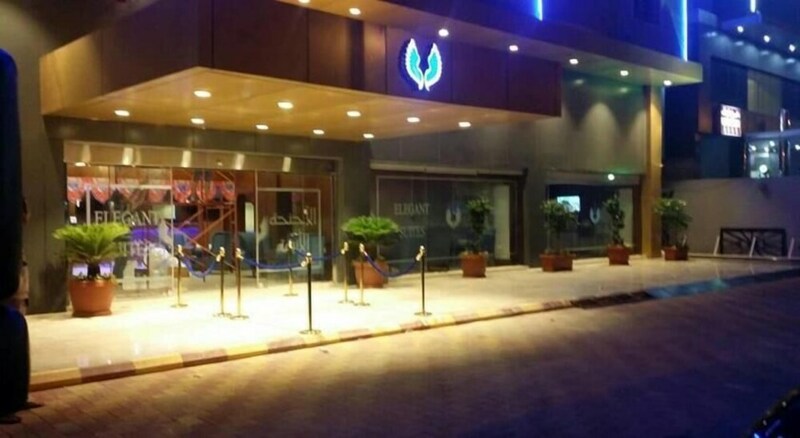 This aparthotel is 11.2 mi (18 km) from Red Sea Mall and 2.6 mi (4.1 km) from Jeddah International Exhibition Center. Make yourself at home in one of the 103 air-conditioned rooms featuring refrigerators and flat-screen televisions. Complimentary wireless Internet access keeps you connected, and satellite programming is available for your entertainment. Private bathrooms with showers feature complimentary toiletries and bidets. Conveniences include minibars and electric kettles, and housekeeping is provided daily. Take advantage of recreational opportunities offered, including an outdoor pool, an indoor pool, and a fitness center. Additional features at this aparthotel include complimentary wireless Internet access and wedding services. Getting to nearby attractions is a breeze with the area shuttle (surcharge). At Elegant Hotel Apartments, enjoy a satisfying meal at the restaurant. A complimentary breakfast is included.